Good news! 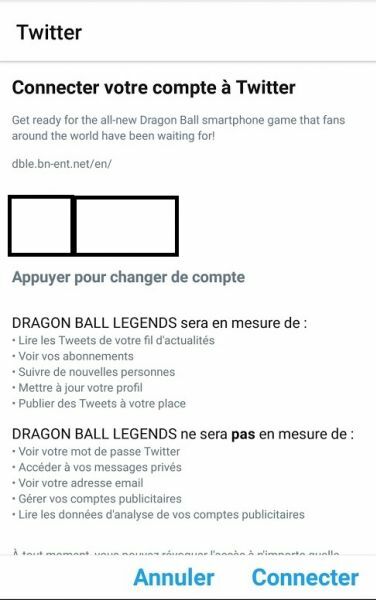 Dragon Ball Legends is finally out (in the United States, the United Kingdom and the Netherlands). 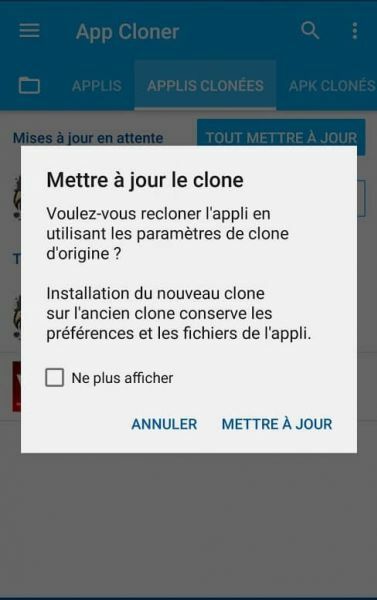 As a good fan that you are, you rushed on Google Play to get it back before everyone else (following the prerogatives exposed here) and could not resist the temptation to clone the application in order to fry everyone and pig farming to get ahead before the release in France, still scheduled on June 14, is an eternity. Tired, app cloning has its reasons that the reason ignores and apk update and synchronization via the associated Google account do not work. So you can't get back the fruit of hard work and that Sparkling card that got your full attention during training sessions. Fortunately, Uncle Toucharger is here and will explain how to transfer your backup if you cloned the application. If you are a new player, know that the latest version ( you can get it here ) works directly on your phone, without going through any ploy. Lucky you. To get started, make sure you have on your Android phone: Both versions of DBL, including one updated, as well as the App Cloner app, and a Facebook or Twitter account. Start by running App Clone then go to "Update". Launch the DBL update (version 1.2.0 or higher) and install it. It will replace your old cloned version. If you changed the name, remember to keep it. 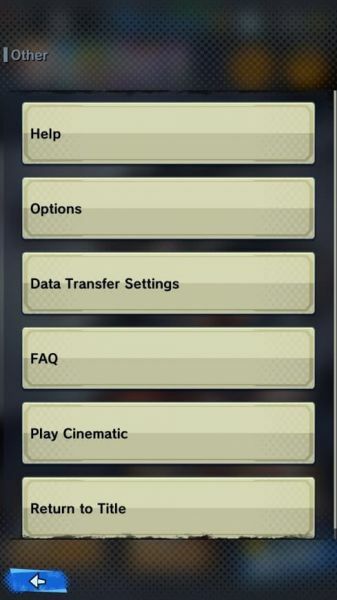 Go to the menu, then "Other"
Select the transfer via your Facebook or Twitter account. We tried Twitter, but it should work the same way with Facebook. Once the Twitter prompt is open, select the account and validate. The transfer is immediate. Exit the application. 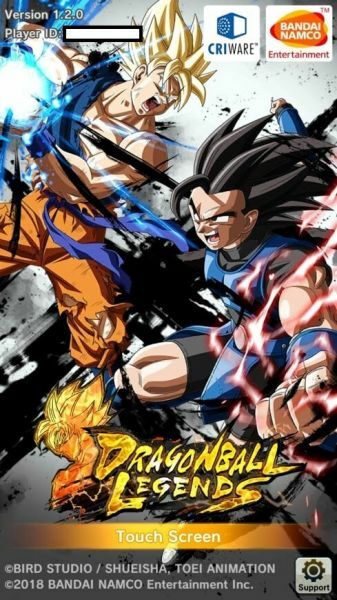 Launch Dragon Ball Legends (the original, without saving) and skip the various screens. Tap "Transfer" when prompted. Choose Twitter and allow sync. The game reloads, check that your ID number appears at the top left...and Play. You only have to continue your adventure and can of course remove the old application that can cause confusion if you play it by mistake. The game gives you a reward if you pass the transfer. 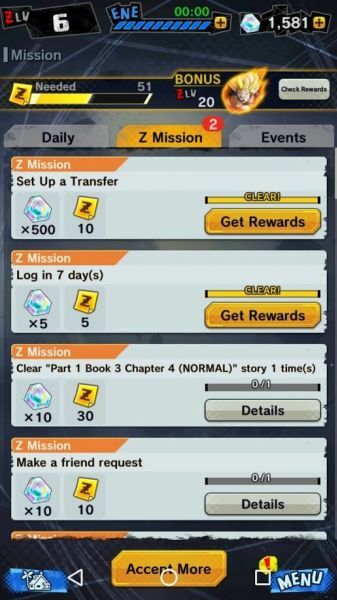 The "Set up a Transfer" mission offers 500 stones and 10 Z Energy. That alone was worth it! 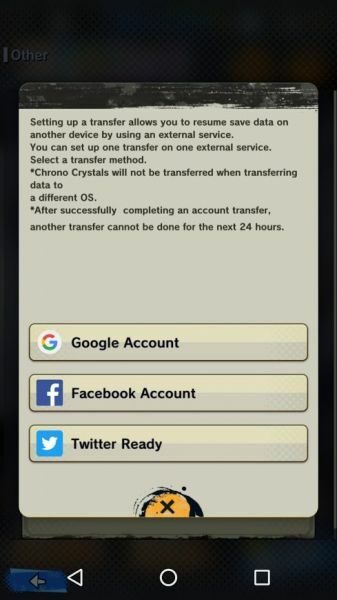 The data transfer does not delete your stones bank. This is reset if you switch from Android to iOs and vice versa. In the event of obligation, make turn the lottery, the drawn cards are they preserved! If you still get an error message when you start the game, use a VPN to connect to the US or Canadian Play Store, then uninstall and reinstall the new version, before importing the data. This operation is limited to once in 24 hours, so don't abuse it! This article is a translation of the french version available in our pages.